Do you want an office snack that tastes good, or do you want one that’s good for you? It’s a devil’s choice; fortunately, it’s also a false one. 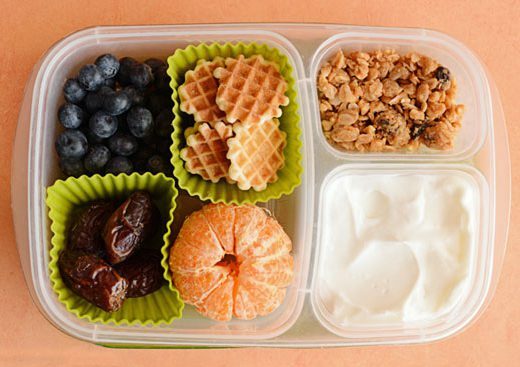 A study of 10,000 snacking professionals found that their 10 favorite office snacks — including yogurt, string cheese, dark chocolate, protein bars, and fruit — hit that delicious-yet-nutritious sweet spot. Although many top picks were higher in calories, they’re also packed with protein, antioxidants, vitamins, and minerals. Who doesn’t love sweet heat with a crunch? 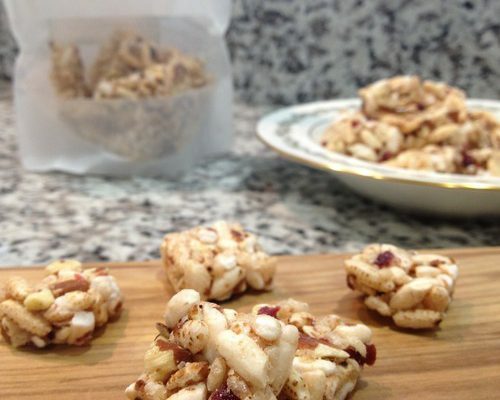 A perennial favorite at our office, these spicy nuts are chock-full of healthy fats. Out of a total 12 grams of fat per serving, 9.5 grams are unsaturated. Plus, they’re a good source of protein, at 4 grams, and iron, at 8 percent of the recommended daily value. They’re also low in sugar, which not many glazed nuts can claim. Blueberry, almonds, and quinoa: Could you come up with three healthier ingredients that taste great together? The anthocyanin in blueberries is responsible not only for their deep purple color, but also for their antioxidant payload. Almonds, meanwhile, can lower cholesterol and control blood sugar. Quinoa, for its part, brings nutrients like magnesium, phosphorous, and folate to the table. To round out this healthy snack, we also add cashews, pumpkin seeds, and sesame seeds. 3. Plantain chips Chip lovers, we’ve got your back with this office snack. Unlike many potato chips, though, our plantain chips contain no cholesterol or trans fats. Plus, plantains deliver a double-digit shot of vitamin A, which is critical for eye, skin, bone, and reproductive health. Although this healthy snack contains 17 grams of carbs, just two of those grams come from sugar — all of which occurs naturally in the plantains. 4. Salt and pepper pistachios Pistachios may take some time to eat, but we think they’re worth it. We add plenty of pepper and just a touch of sea salt to bring some zest to this healthy office snack. Even more so than almonds and cashews, their nutrient profile is dominated by unsaturated fats and protein, with no cholesterol or trans fats. As a result, they’re one of the best nuts out there for heart health and weight loss. Why does it seem like morning snacks never get much love? 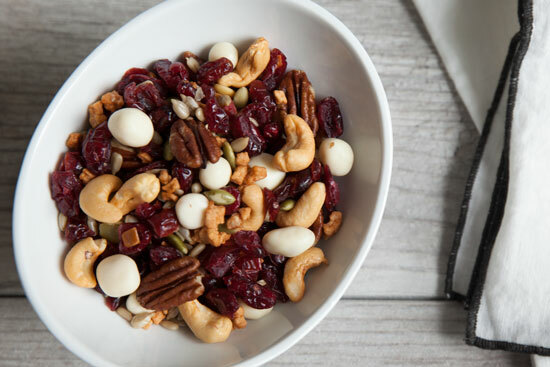 If you’ve burned through your breakfast before noon, try one of these single-serve office snacks. Sweet but not overpoweringly so, this oatmeal’s dried apples and blueberries come to life with a little hot water. 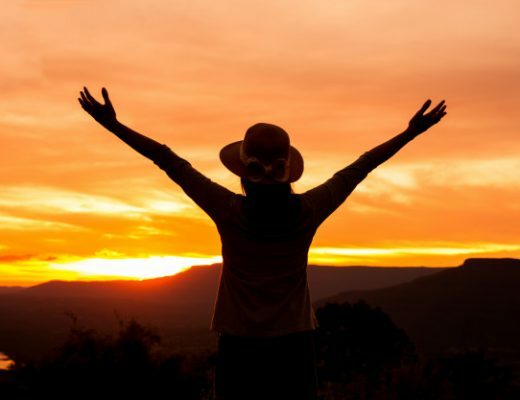 For long-lasting energy, we top it a sprinkle of sunflower seeds. Add it up, and you’ve got your bases covered with complex carbs, unsaturated fats, and lean protein. We get it: Sometimes, what you really want is a strip of meat. To build this healthy office snack, we smoke and season real turkey breast to perfection. Although it’s a little higher in sodium than the other healthy snacks on this list, our leanest jerky makes up for it with a whopping 10 grams of protein and only a single gram of fat per serving. At just 70 calories per serving, we promise it won’t ruin your supper. Next time you’re tempted to reach for the emergency candy or chips, realize that tasty isn’t the enemy of healthy. To us, the office snacks above are proof of that. But if you’re still not convinced, well, talk to us again after you’ve tried them for yourself.